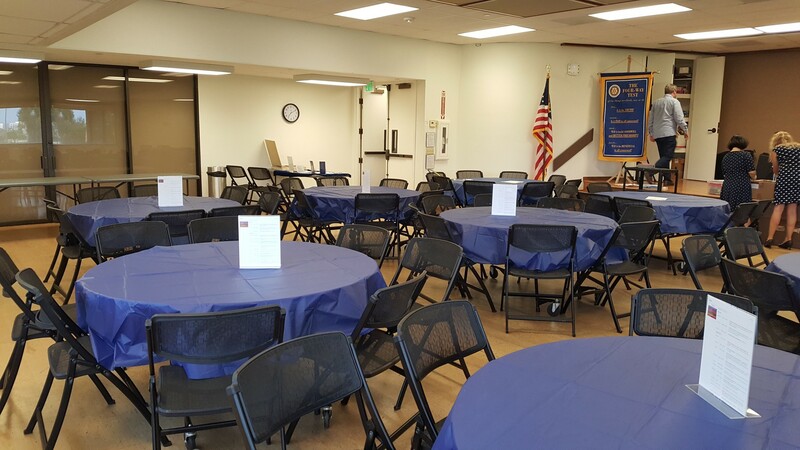 Rancho Senior Center is a multi-use facility that offers classes and activities catered to people ages 50 and older. This facility includes three multipurpose rooms, a ballroom, and a warming kitchen. 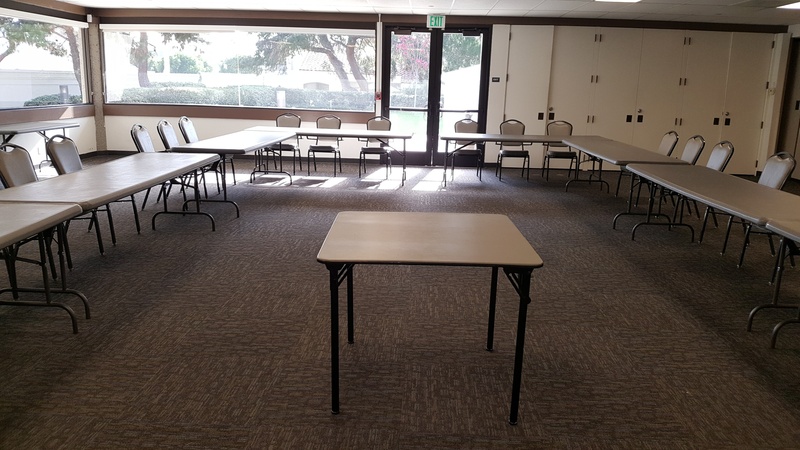 View details about rentable spaces within Rancho Senior Center below. 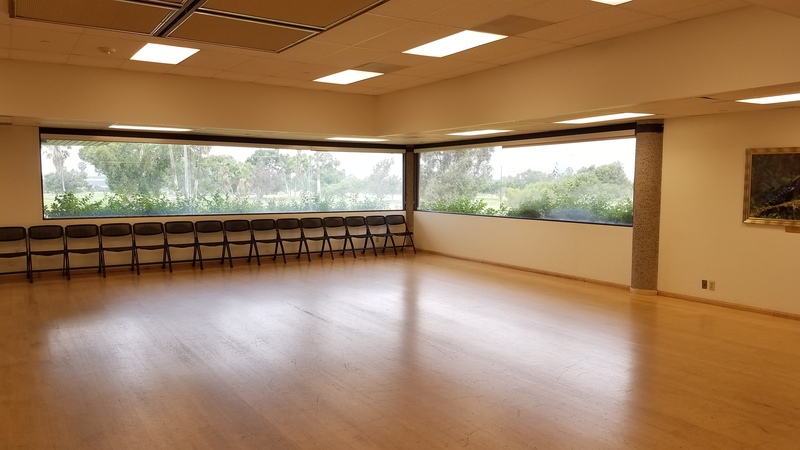 The City of Irvine offers a variety of classes at Rancho Senior Center, including crafting, dance, fitness, and social classes for those 50 and older; educational and health-focused lectures; and special workouts and assistance at the Fitness Center. For all programs and activities at Rancho Senior Center, visit the Programs and Activities webpage here. Please review the room amenities below. To make a reservation, contact Facility Reservations at 949-724-6620 or reservations@cityofirvine.org. You may also fill out an online application here. 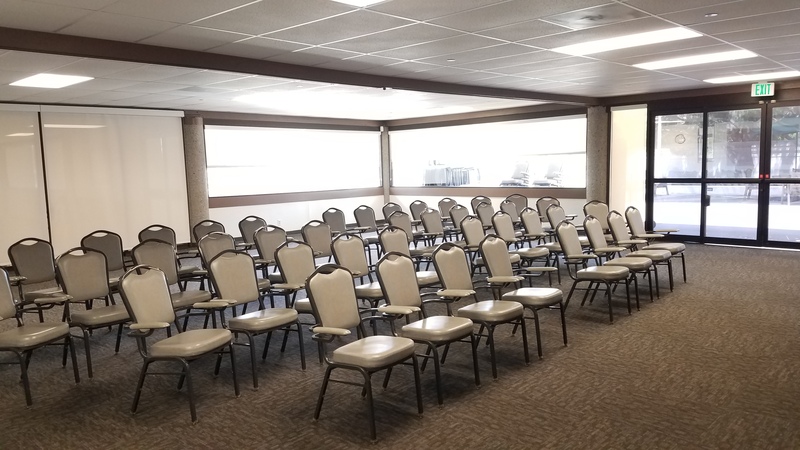 The Multipurpose Room 1 features 759 square feet of space with carpeted floor. It can accommodate banquet- and theater-style seating, with options for a dance area. 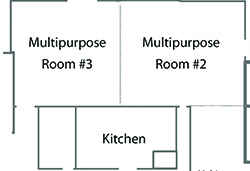 An accompanying kitchen with limited refrigerator and freezer amenities can be rented with the multipurpose room. Room capacity ranges from 20 to 50 attendees, depending on setup. 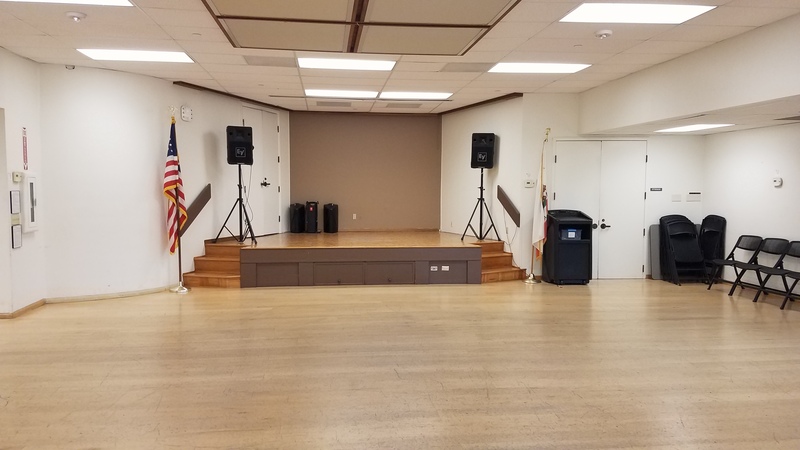 Rancho Senior Center's Multipurpose Room 2 is a carpeted 1,600-square-foot room that can accommodate banquet- and theater-style seating, with options for a dance area. An accompanying kitchen with limited refrigerator and freezer amenities can be rented with the multipurpose room. Room capacity ranges from 60 to 90 attendees, depending on setup. 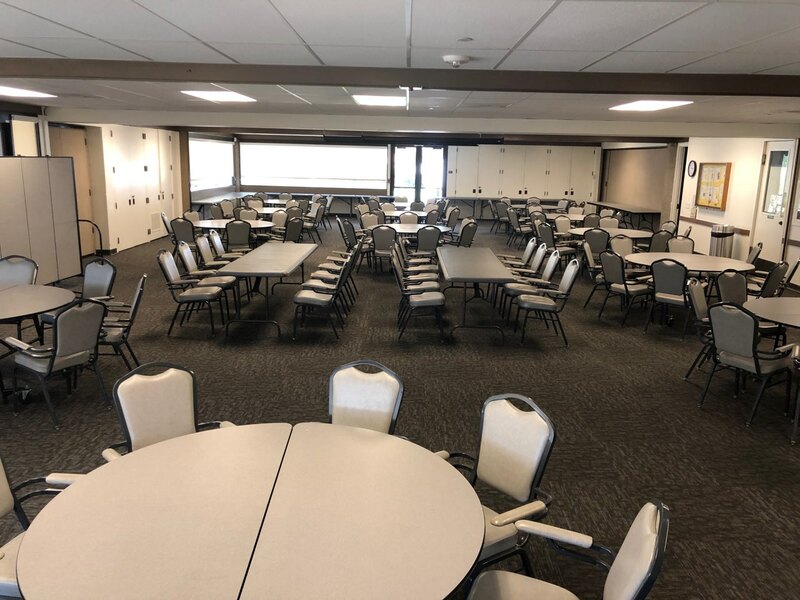 This room can be combined with Multipurpose Room 3, increasing room size to 3,200 square feet, and capacity to 100 to 250 people, depending on setup. 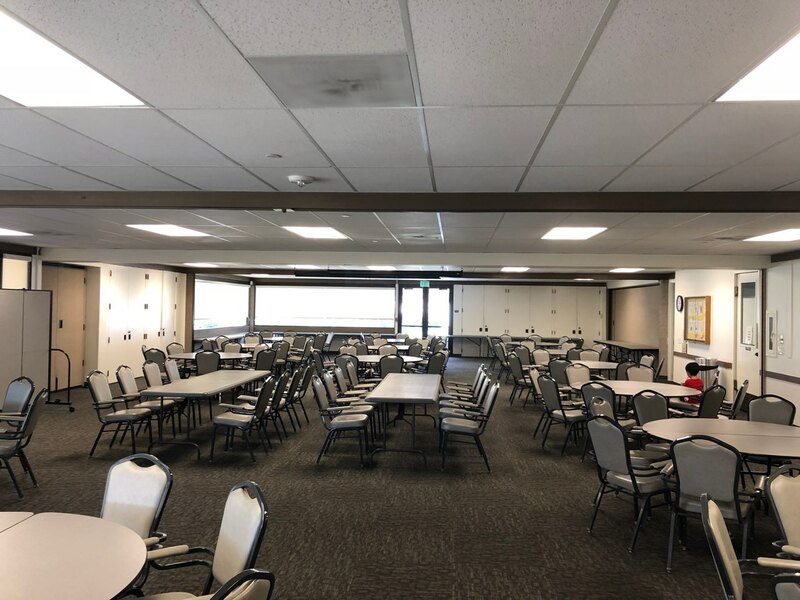 Rancho Senior Center's Multipurpose Room 3 is a carpeted 1,600-square-foot room that can accommodate banquet- and theater-style seating, with options for a dance area. 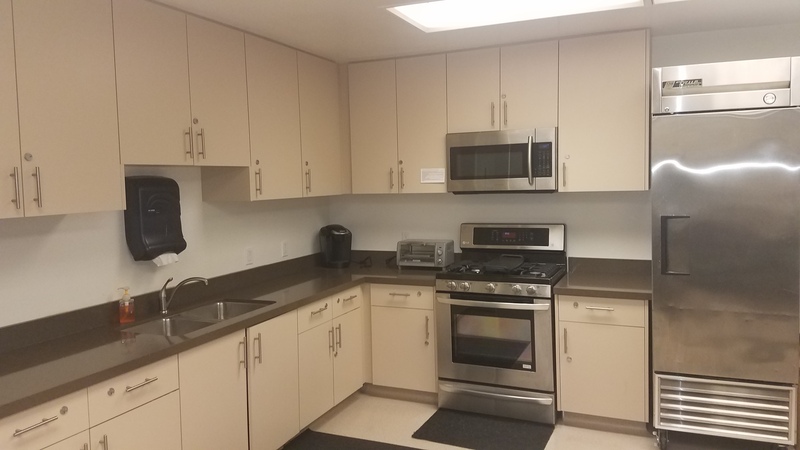 An accompanying kitchen with limited refrigerator and freezer amenities can be rented with the multipurpose room. Room capacity ranges from 60 to 90 attendees, depending on setup. 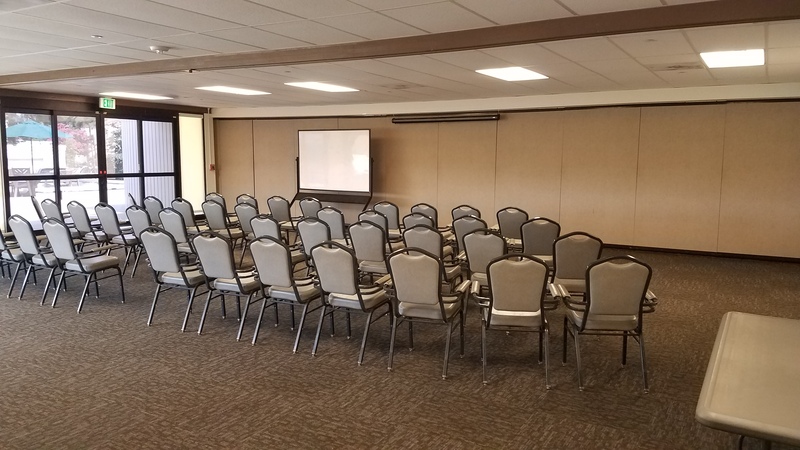 This room can be combined with Multipurpose Room 2, increasing room size to 3,200 square feet, and capacity to 100 to 250 people, depending on setup. Limited use of the warming kitchen is available with an add-on fee and is only permitted with a multipurpose room or ballroom reservation. When renting the kitchen, guests will only have access to the ice-maker, refrigerator, and open counter space. Rancho Senior Center's ballroom is a 1,600-square-foot room with wood floors and a stage. 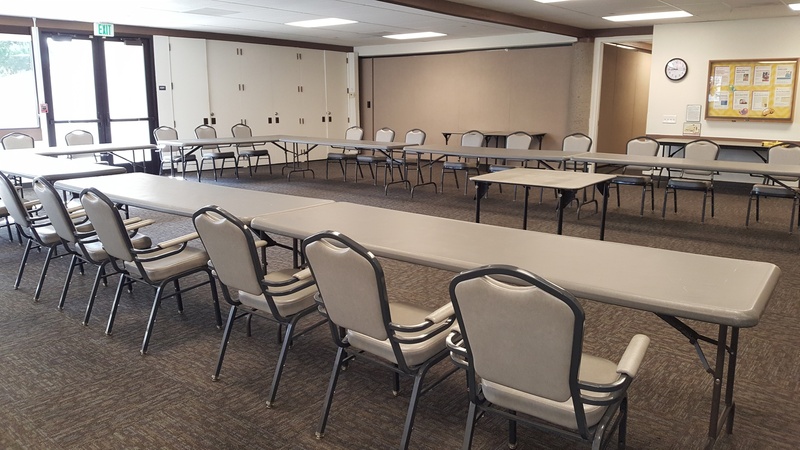 This room can accommodate banquet seating, classroom-style seating, or theater seating. Room capacity ranges from 20 to 200 attendees, depending on setup. The City of Irvine Community Services Reservation Policy is established to ensure that the use of City facilities and parks aligns with City values, provides fair access to all users, remains fair priced, operates in a fiscally responsible manner, and supports a safe and sustainable community. View the Reservation Policy here. 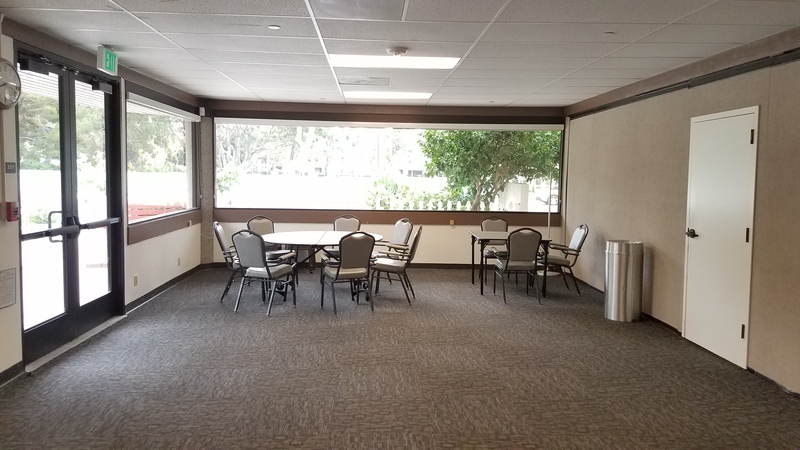 Rancho Senior Center's rooms are available for rent; hourly rates vary by room, group, and event type (see the Reservation Policy for more details). Please see the table below for a general overview of fees, or view a PDF version here. Reservations outside of regular operating hours may be subject to additional fees, noted below. Kitchen $200 $40 additional charge per reservation day, in addition to multipurpose room reservation fees. *A $20 additional hourly fee will be charged for reservations of premium rooms during primetime hours. Primetime hours are 5–9 p.m. Friday, 9 a.m.–10 p.m. Saturday, and noon–6 p.m. Sunday. Find more information on reservation hours and primetime fees here. Please note: The above fees apply to room rental only. Events including alcohol will incur additional fees. Other needed services, such as security, porter service, or equipment rentals, are available with additional fees. Saturday & Sunday: 8 a.m.–10 p.m.
Additional hours may be accommodated upon request. Reservation hours may differ on holidays. Please call 949-724-6620 for more information. View a complete high-res version of the Rancho Senior Center site map here.